How to eat your kale and move on! 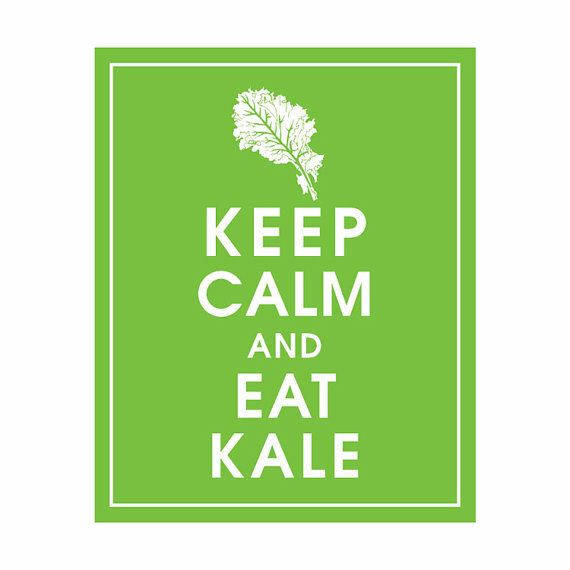 Have you heard all the alarmist news stories about how kale is bad for your health? Well, kale is goitrogenic and thus should not be consumed in ridiculously vast quantities, especially if you already have thyroid dysfunction. For most people, we are talking having a big green juice in the morning made of mostly kale, followed by a massaged kale salad for lunch and maybe some kale chips for snacking on. However, there are two ways to eat your kale and stay abundantly nourished and vibrantly healthy. Most people are iodine deficient. Many types of radiation are taken in by the thyroid in search of iodine, so make sure your thyroid is fully topped up with iodine. Our family enjoys iodine rich foods in the form of seaweed, especially kelp and also supplementing with Nascent Iodine product. Kelp is extremely rich in iodine, in fact many times higher than most other types of readily available seaweeds. It is also relatively inexpensive. Kelp is something that should be eaten in small quantities regularly. If you want to mix it up a little, our Sacred Strawberry brand Tahini Dill Kale Chips contain kelp. It’s a perfect marriage! By regularly switching up the greens you eat, you avoid any build up of plant alkaloids or anti-nutrients that one particular green may have. Kale, collards and mustard greens contain goitrogens; spinach and beet greens have oxalic acid; lettuce has traces of opioid like sedative compounds, etc. Eating too many of one thing only is not eating optimally- we need variety! By eating only one type of green that you find tastiest, you also miss out on the benefits that other greens have- different vitamins, minerals and phytonutrients. Eating a variety of greens over time is what we want to strive for. photo by KeepCalmShop on Etsy 🙂 I can totally see this framed and in the kitchen!